Want to be kept up -to-date on what's happening in the island of fire and ice? Are you planning to go there? Have you just returned from a trip to that wondrous island, and are you feeling those Iceland blues? Then you should definitely subscribe to this feed and click that orange button. Continue reading "Take a tour to Hveragerdi and enjoy the steam!" Continue reading "News from Iceland"
Continue reading "ICELAND LABOUR MARKET - JOBS FOR FOREIGNERS"
Continue reading "News from Iceland in January and February 2009"
Continue reading "Icelandic ghost stories"
Continue reading "Indicators for Icelandic Economy"
A description of the Icelandic economy scene and outlook. Things are happening right now. Read about the stakes and the strategies! Continue reading "The Economic Outlook in Iceland 2006-2015!" Continue reading "SITE MAP FOR GO TO ICELAND"
After the baby-boom, another kind of boom is foreseeable as the baby-boomers retire and then die. This affects the demography. Who will take care of the ageing many? Continue reading "Baby-Boomers in Iceland"
Continue reading "Nature and Iceland"
Child care is an important factor. Have you ever wondered how Icelanders mind their children while they are working? Are their children spending too much time in pre-primary-institutions! Esja, the beautiful mountain of Reykjavik. It takes you only half an hour to drive there and less than two hours to go up these 930 meters! Kerid, a red mountain with a blue lake in it, just by the road on the way to Geysir or Thingvellir. Continue reading "Kerid, red mountain, blue lake"
Continue reading "Weather in Iceland"
Iceland has a blooming labour market and activity-rate. We have selected some unbelievable figures for you to look at. Continue reading "Activity-rate - employment - Activity rate"
Continue reading "Labour Cost and Taxing Wages"
Continue reading "A short history of economy in Iceland"
Continue reading "How do I go to Iceland? Getting there easy!" Continue reading "Thingvellir, Iceland's sacred spot!" Continue reading "Some geographical data about Iceland"
Continue reading "Keilir, the Pyramid Montain"
Close to the capital and yet wild and untouched, the Reykjanes peninsula features several natural gems worth visiting. 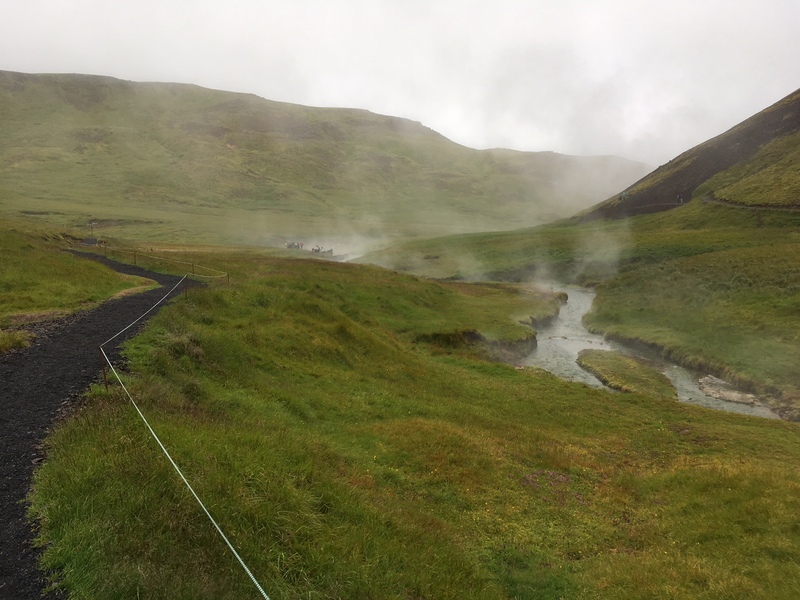 Continue reading "Reykjanes Peninsula, barren and wild with a lot of hot springs." Continue reading "Living in Iceland and the standard of living"
The Jökulsá canyon features Asbyrgi and Dettifoss. The Institute of Phallology is not far off. Continue reading "Asbyrgi, Dettifoss and other wonders of Iceland"